Shh… I can’t tell you who this was made for… or why (look out for a future post) but after finishing it off- I can’t help but share it with you! Remove the glass from the frame and dispose of it safely. 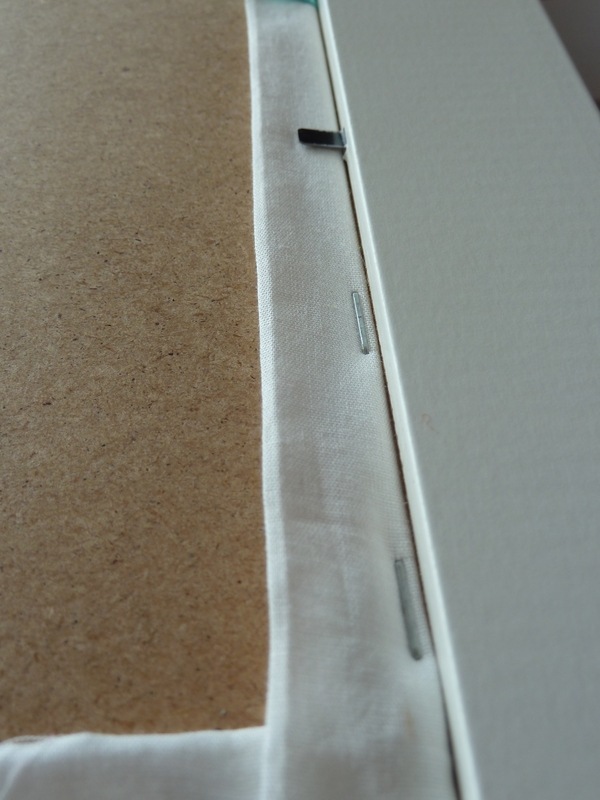 Cut the wadding material to the same size as the MDF backing of the frame. 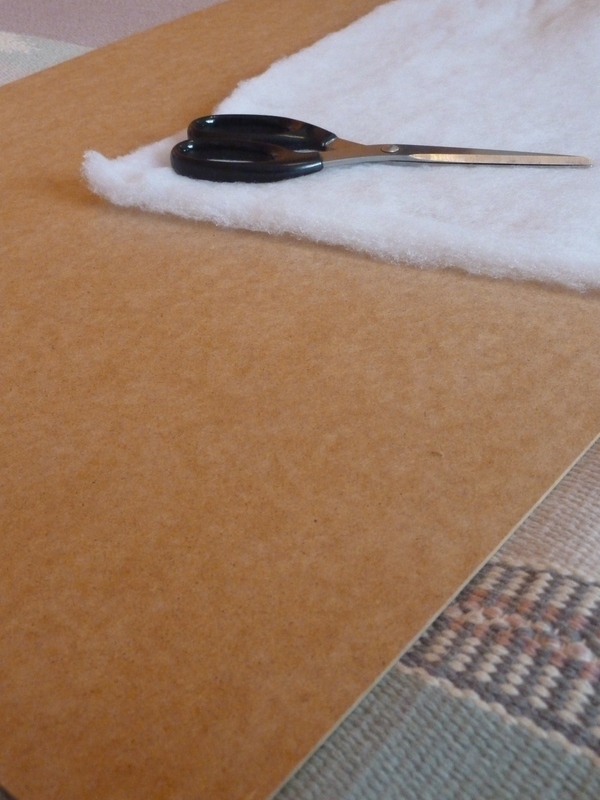 Measure and cut your fabric to be around 1.5 inches larger than the MDF backing and cover the wadding with the fabric. Pin your ribbon in place. 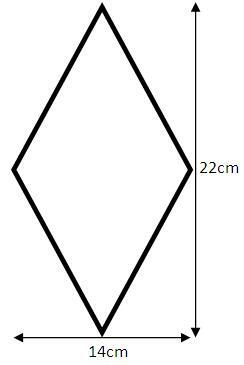 Use a diamond shaped template to help position your ribbon. The size I used allows me to place photos (6″x4″) in portrait without the photo being obscured. 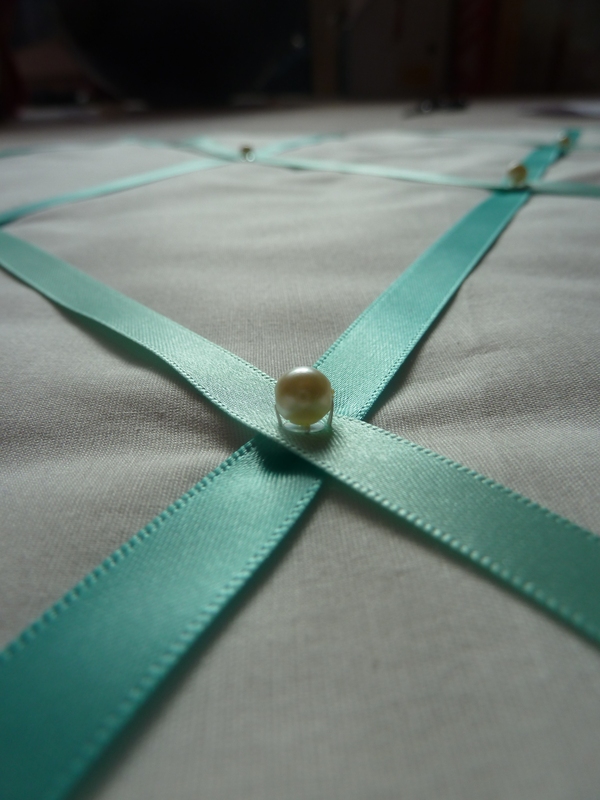 Stitch buttons/ pearls to the ribbon at the points of overlap, being sure to stitch through the fabric and wadding to secure it. Try to keep the ribbon taut as you do so. 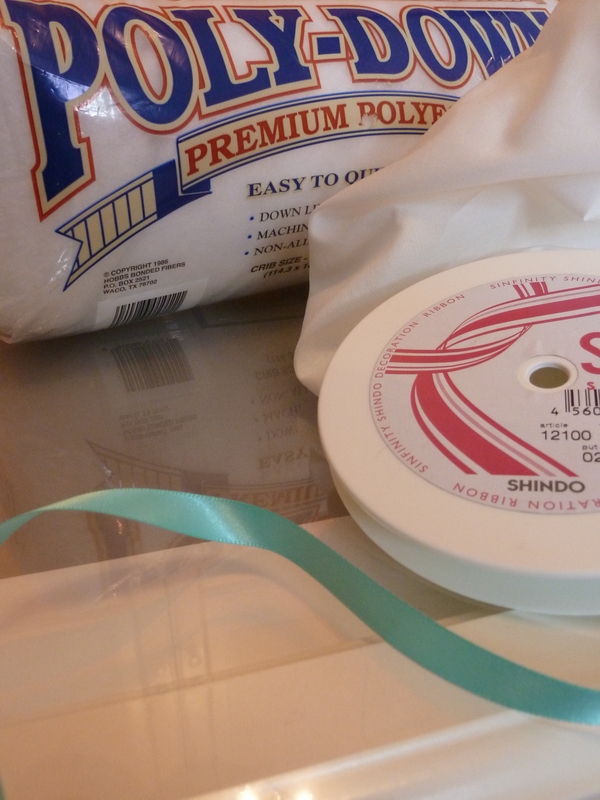 You can also stitch the ribbon to the fabric around the edges to make it more secure. 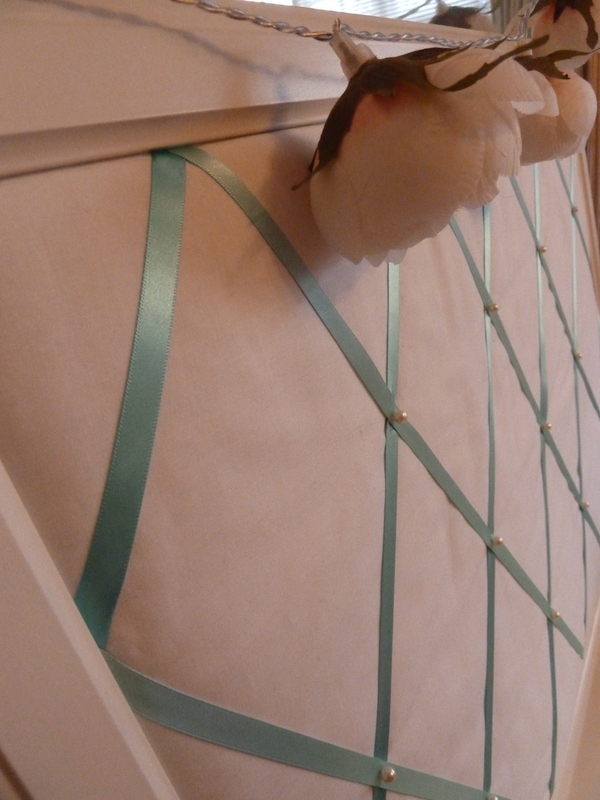 *UPDATE* Staple gun the ribbon running underneath, making sure the staple is hidden by the ribbon crossing over on top [unless you have small enough staples to be covered by your button/pearls; unfortunately mine weren’t]. 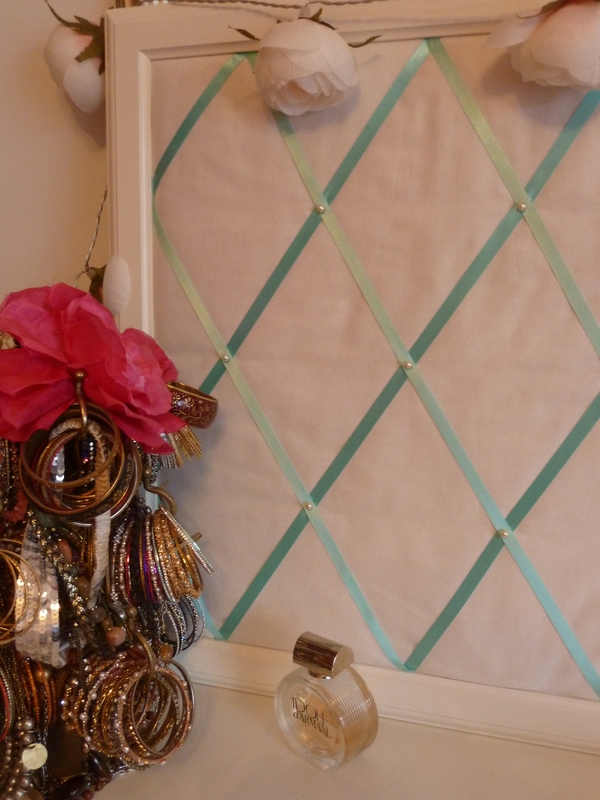 This will give you the quilted, puffed look and make the ribbons tauter. 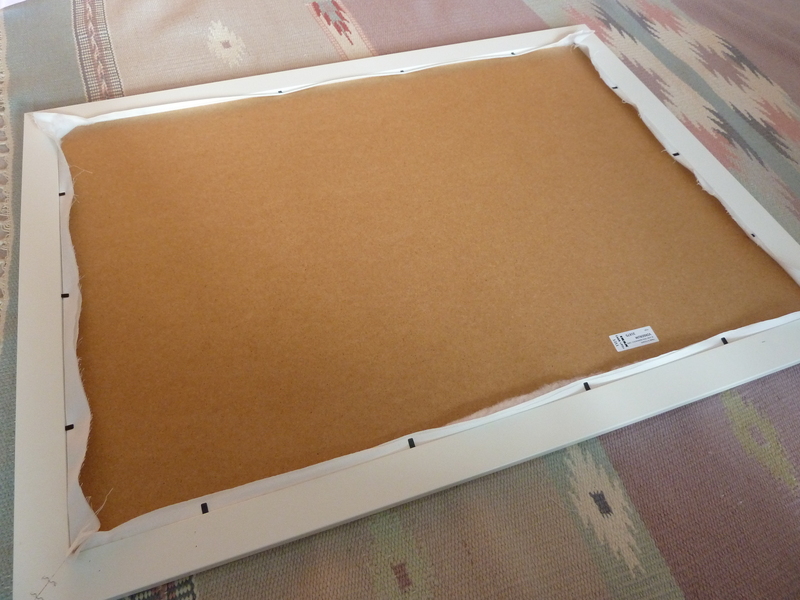 Place in the frame and pull the material until it has the tautness you want. 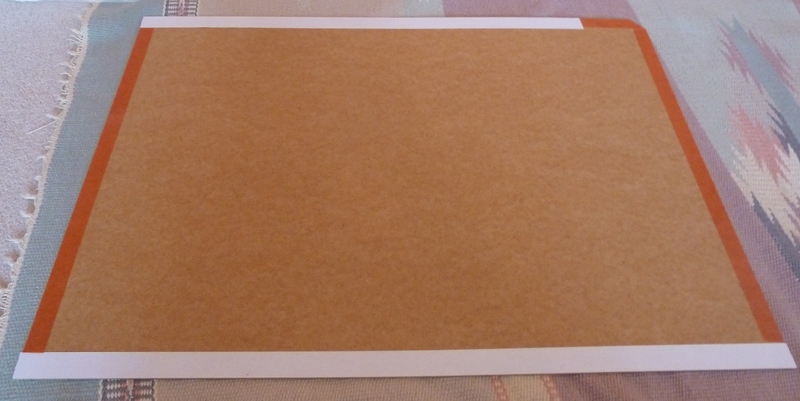 Fold over the edges to give a clean finish and staple as close to the frame edge as possible, making sure the staple goes into the frame rather than into the frame space. All in all, simple! The only bit that takes a bit of time and extra care is the positioning of the ribbon. I’ve got another one to make, in a different colour scheme. 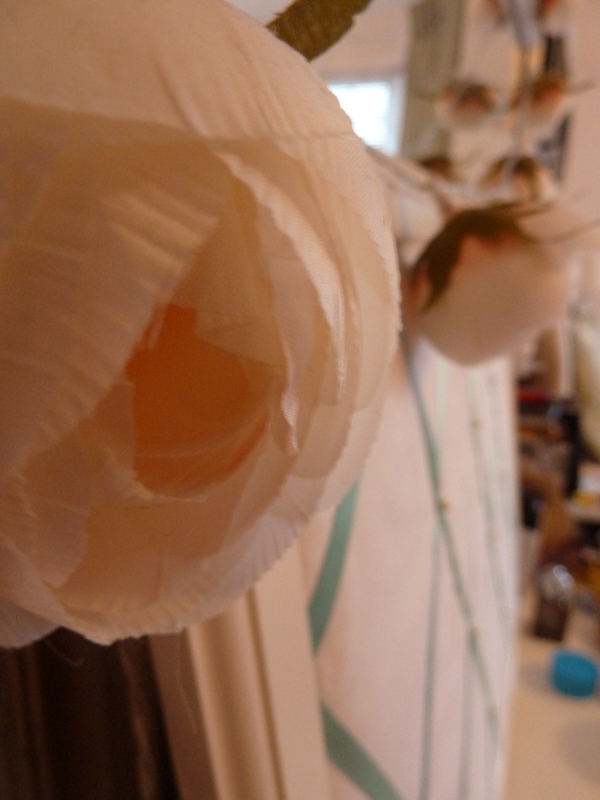 This time I’m hoping to use some patterned fabric so keep an eye out for a future post. Thanks! I’ve made two now and neither of them for myself! How awful! So lovely 🙂 Such a great idea, thanks for the tutorial. Thanks! I really do need to make one for myself now!